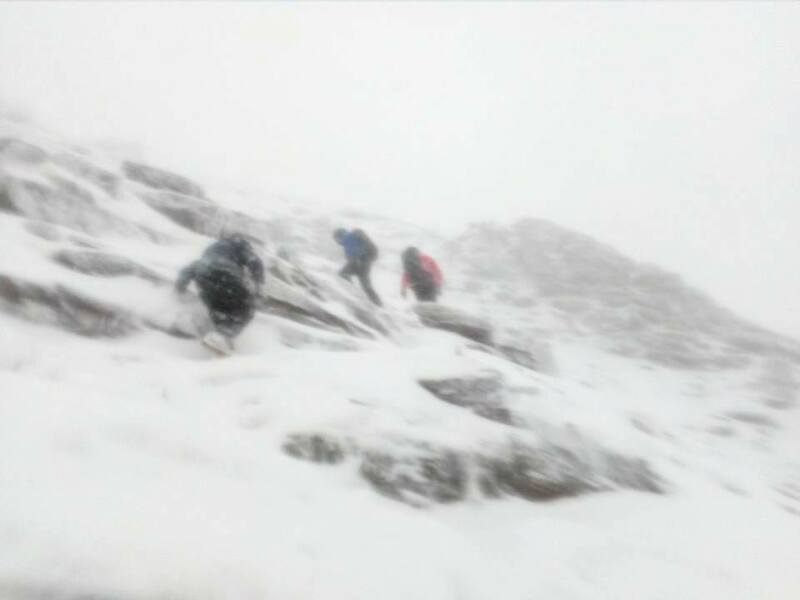 There was a lot of comments made in social media after Stephen's Day about the safety of hill walking in bad wintry weather. 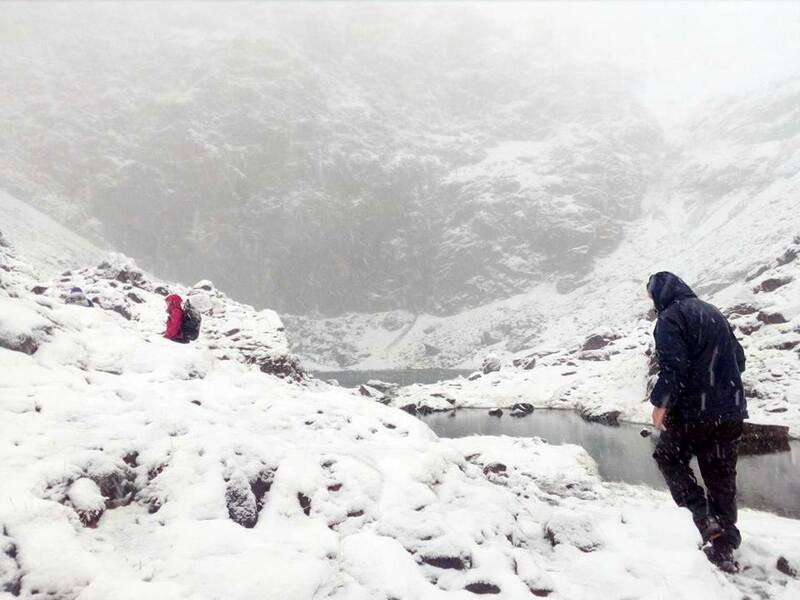 Some of them were saying that people should check the forecast and not go to the mountains in this conditions at all. 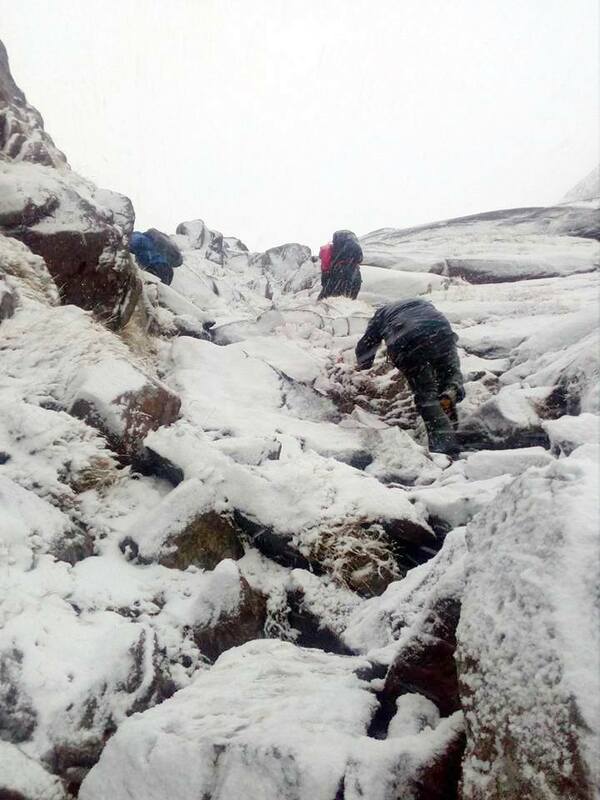 Some of them wanted walkers to pay for the rescue action if one gets lost or injured while risking hiking during snow warning. Well, first of all, we do check the forecast and we know what to expect. Well, most of us... We're talking about regular experienced hill walkers, not occasional chancers in runners. Why do we still go? We don't get much winter in Ireland. But some of us love it and only wait till the white stuff finally covers the mountains for one or more days... Some of us will gear up and run up there straight away after seeing 'heavy snow' in the forecast. I'm one of them. And not the only one in our club. Is it safe? Mountains are never 100% safe. You can injure yourself on a sunny day or get lost in warm summer fog. Is winter more dangerous than summer? Yes. And that's why you need to be more careful, more experienced and have more gear. And of course have very good navigational skills. If you don't feel comfortable in strong cold winds and very poor visibility, stay home and wait for the spring. So, on Christmas Day we checked the weather forecast and smiled. Heavy snow - YES, we're going tomorrow! The car park was quite busy as climbing Ireland's highest on Stephen's Day is a popular thing to do. We took off and headed towards the Hag's Glen in light drizzle. We decided to chance O'Shea's Gully. We could see a bit of dusting at the upper part of it but nothing major. 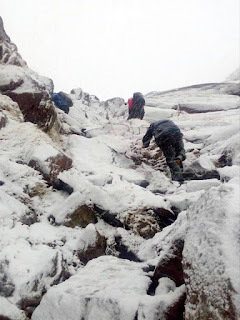 When we got to the first rock step, the drizzle started turning into snow and at it was nice and soft for a while.... 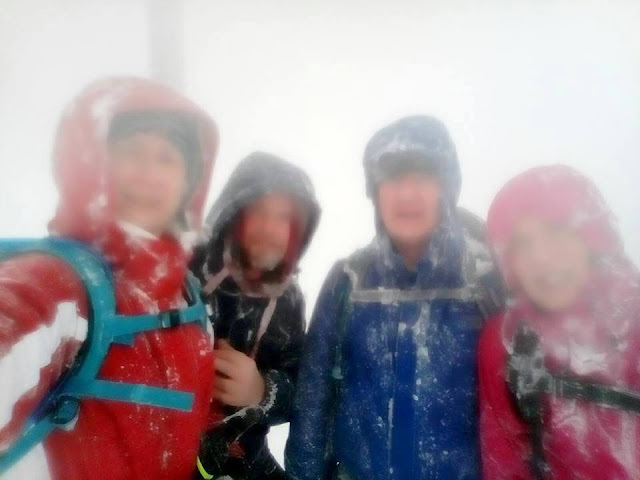 But soon we were higher, more exposed to the wind and the snow was heavier every minute. The visibility wasn't too bad as far as the lake but as soon as we started climbing up the gully it was just worse and worse every minute and, what was making our progress really difficult, was the wind blowing all the snow up he gully and straight into our eyes. And that was the one and only day when I forgot my glasses... I won't make that mistake again! Glasses or goggles are a must in the winter. The snow was extremely soft, but luckily no ice underneath it. All the way from the top of the gully to the summit we were moving in zero visibility and the path was non existent. I stopped for a minute to fix my sticks and when I started walking again I couldn't see my companions footprints anymore... and I couldn't see them. Now we were in the middle of a full blown blizzard. We only took one picture at the top and met no one there. It was even hard to keep the camera lens clear... Straight away without stopping we started our descent. The original plan was to go down the Heavenly Gates, but our leader Denis decided to escape quick via Devil's Ladder. It can be extremely dangerous in this conditions but it's fast, straightforward and with an easy access just in case anything bad happens. Heavenly Gates Route has a steep and dangerous section as well and we didn't feel like doing the Zig Zags because this route involves more climbing and it's much longer than the other routes. The Ladder was quite busy and everyone was moving extremely carefully. Once again I missed my glasses so much.... I couldn't stop cursing in my head. We made it back to the Hag's Glen and we couldn't even recognize the place. It was all white and even the car park was white and about 15 cm of snow on our car (!) That's how heavy the snow was that day. It was one of the days when you get tougher and get experience. A day to remember. 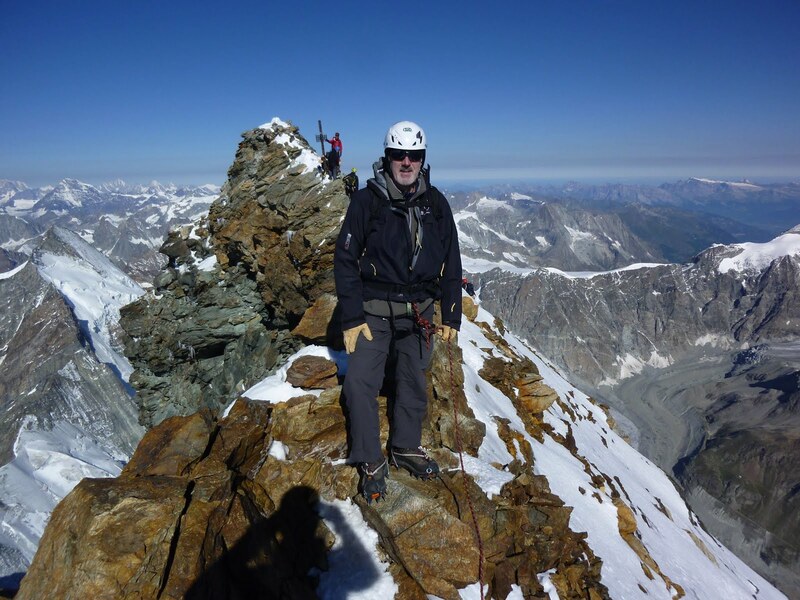 We realize that there's a lot of walkers going up there in wrong gear and not prepared, but even an experienced hill walker in a proper gear can have an accident. Some of Kerry Mountain Rescue Team members were out hiking themselves that day. 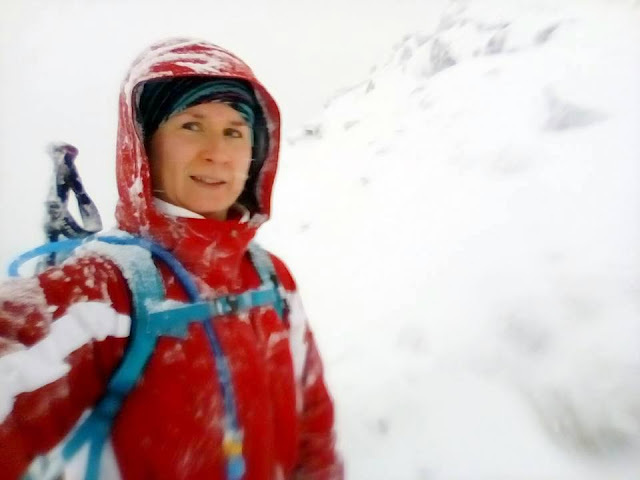 Some of us like wintry conditions and challenging ourselves. Of course the experience is essential but you're not gonna get any experience in navigation if you only go out when the sun is shining. Enjoy the winter, stay safe.